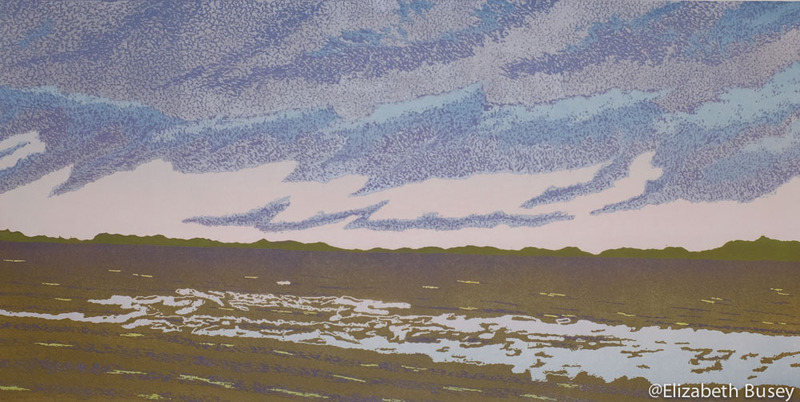 My latest large cloud-inspired linocut is in the stage I would characterize as “a hot mess.” After carving away the white highlights, I have spent the last week and a half printing large swaths of fading blend rolls to create the color changes of a setting (or rising) sun. Painterly, or a hot mess? This is still up for debate. The resulting skies will be the backdrop for dramatic clouds and hopefully I will no longer obsess about the random “underprinting” of sky once these clouds begin to appear. This is the painterly quality that I cherish in other artists’ work. 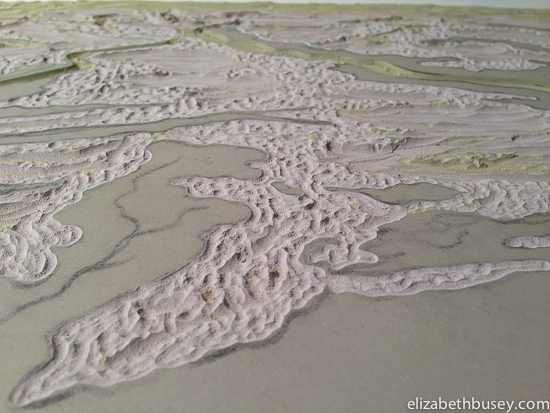 Printmakers will often stare at parts of a print and praise an area of interesting color or texture — “Oooh, I just love this area here…” I blame my issues on the tradition of editioning and the tyranny of the white border. Clearly some printmaking therapy is in order. 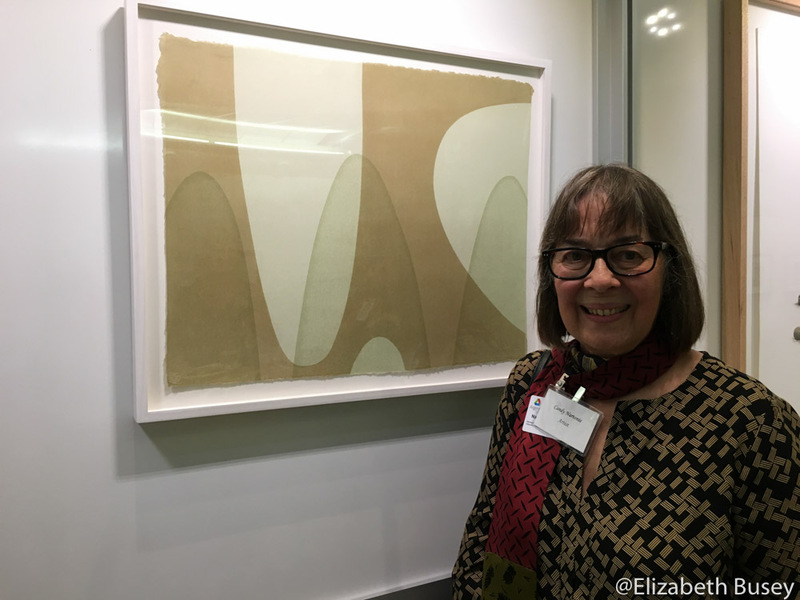 I had the pleasure of meeting two printmakers this week whose work has encouraged me to embrace a more painterly printmaking process. My work was included in Serial and Sequential: A printmakers performance” at the Argonne National Laboratory outside Chicago. 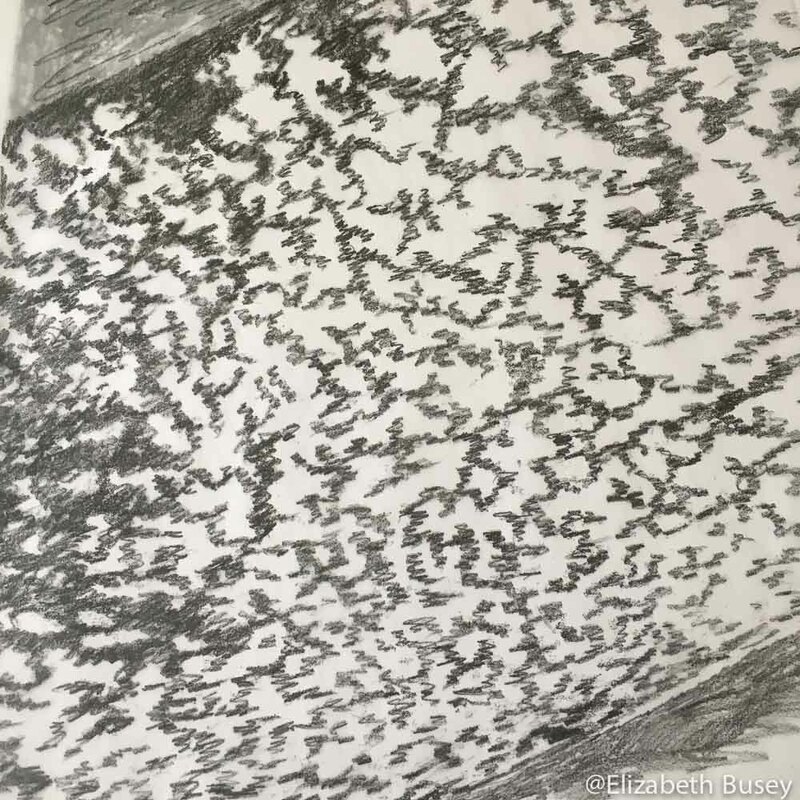 I was drawn to Kim Laurel’s work on Dura-Lar film that captures the flighty movement of dragonfly. (Visit her website to see a good image of this work.) 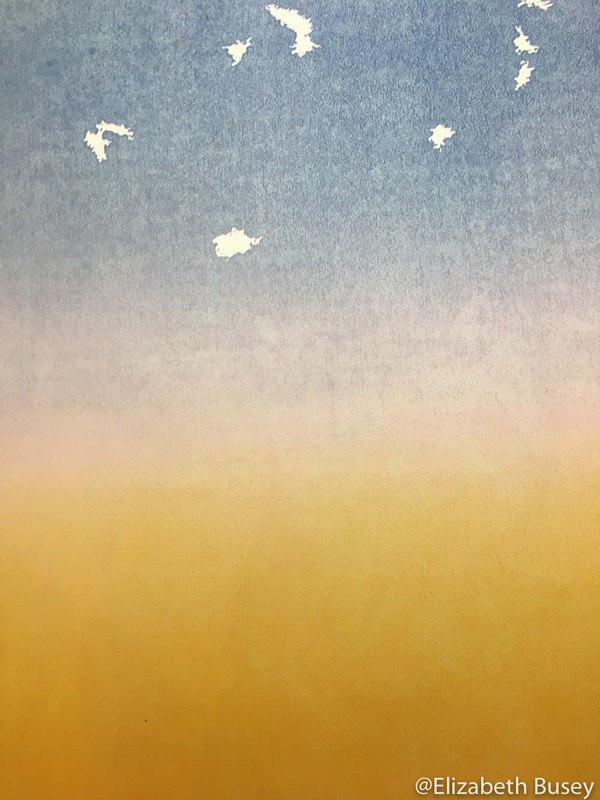 Equally appealing were Candy Nartonis‘ use of stencils and lithography to explore textures and tones within simple shapes. Candy Nartonis with her explorations of tones and shapes. 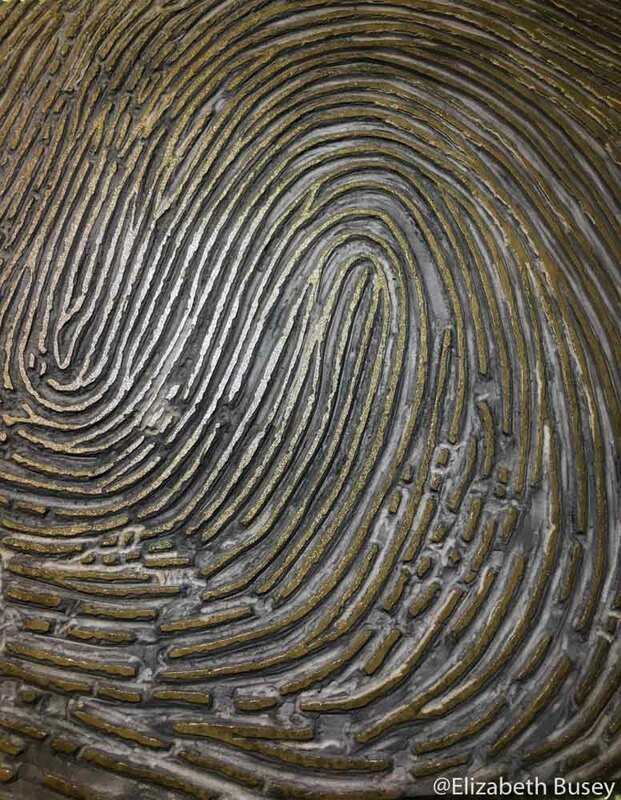 While the quest for perfection (or at least replication) nags me, I’m going to try to celebrate the beauty that variability and texture brings. Now to carve the large block and bring on the clouds! 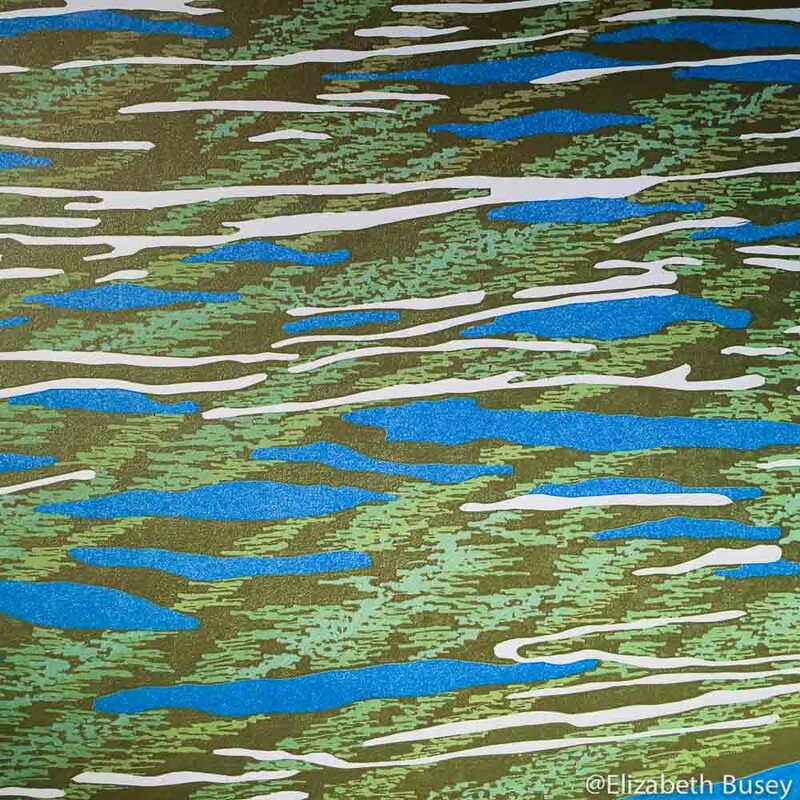 This entry was posted in Artistic Growth, Printmakers, Texture and tagged Argonne National Laboratory, Candy Nartonis, Kim Laurel, Linocut, painterly, Serial and Sequential, texture, variability on October 14, 2016 by Elizabeth Busey. Like many creative endeavors, preparation for relief printmaking can take a significant amount of time. Unlike the spontaneity of watercolor, where the wet brush can immediately touch the pre-prepared watercolor block, beginning something new in my studio can take days. THE IDEA: I need to have some idea of what I’m creating before I can begin. My smaller sketchbook drawings are copied and enlarged on a FedEx blueprint machine. A large tracing paper guide is made by tracing and adapting my enlarged drawing with an 8B pencil. There isn’t a way to draw permanently on the block, so this guide will be used to show me where to carve for each color layer. Heavy layers of 8B graphite mean that I can transfer these marks multiple times onto my block using a wooden spoon and careful alignment marks. 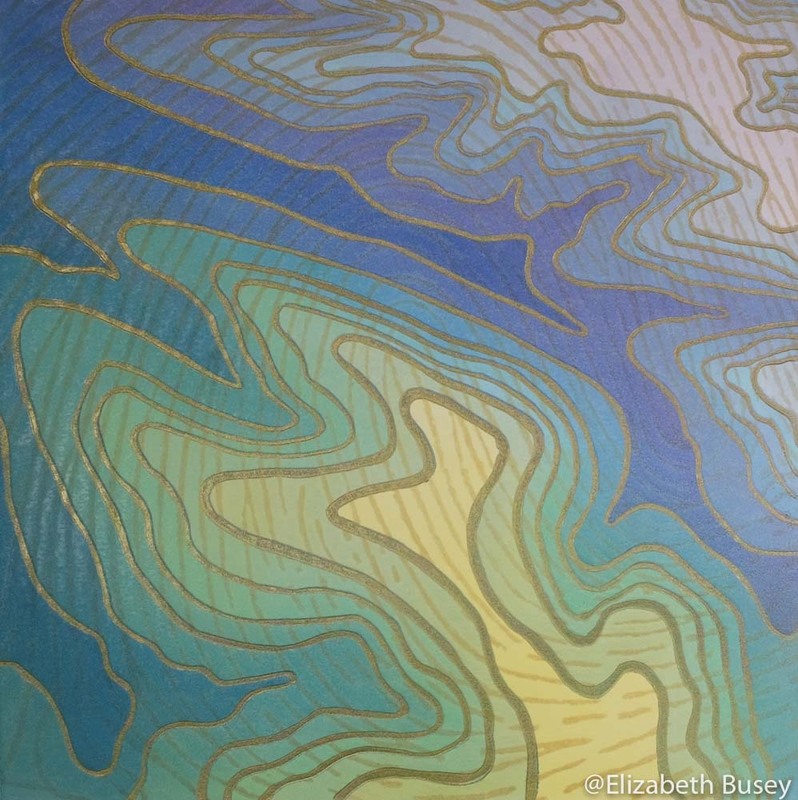 This entry was posted in Demonstration, Materials, Techniques, Texture and tagged block, Foredom Drill, Linocut, mounting linoleum, preparation, sanding linoleum, technique on February 11, 2016 by Elizabeth Busey.